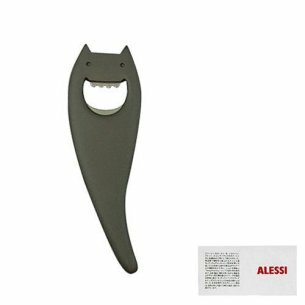 Designed by CSA's Biagio Cisotti, this bottle opener is made of PA. It aimed to explore the affective structure of shapes and objects, starting from the idea of reproducing the object creation process followed by children and primitive cultures. Available in blue, anthracite, green, red and yellow.